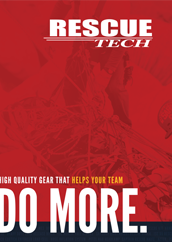 RescueTECH manufactures and distributes a complete line of bags, packs, and backpacks for Rope Rescue, Confined Space Rescue, High Angle Rescue, Water Rescue, and Industrial Rescue. Our in-house design and production assures the user of the best designs, quality components, and top-rated production. 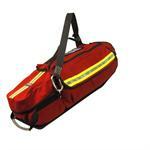 We have been chosen by top departments and agencies to provide bags and packs to fit their needs. Specialized Packs for Rope and/or Equipment Systems. Features: Rescue Tech, EVAC. Lets Search and Rescue Teams keep their gear systems together. Heavy Duty Rope Bags manufactured from Cordura and Ballistic Nylon and Waterproof Cases. 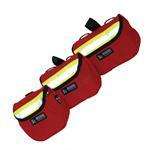 Gear Bags designed to hold a personal set of gear for Technical Confined Space, High Angle, and Water Rescue. 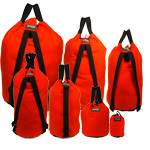 Bags designed to be a stand-alone bag for equipment or that attaches to a standard rope bag. High Quality Search and Escape Bags made from Cordura Nylon or Fire Resistant Nomex. Ideal for Escape Ropes. Custom Designed Drag Bags made for Rapid Intervention Teams from Cordura Nylon or Fire Resistant Nomex. Each Bag Fitted with a thick Replaceable Skid Plate. 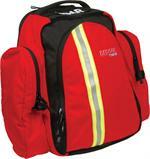 Durable bags and packs made from fluid impervious SiTex fabric.